I am admantly American. 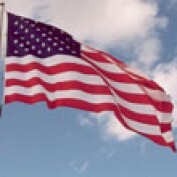 That is to say that, as an American, I uphold and promote the ideals of individual freedom. To do less is to deny the heritage, culture and ethic that is embodied within the Constitution. I personally identify as a Sapien, a reasoning being. I believe that to identify as less, ie. skin tone, gender, religion, heritage, serves only to divide and to detract from the greatest talent of the human structure - our capacity to reason. Sapienism is a nominal philosophy authored by myself that endears the greatness of the human capacity to reason. Sapien promotes the idea that the strength of humanity resides solely in his capacity to reason. The peace, the kindness, the compassion that we strive for can only come through a reasoned process.